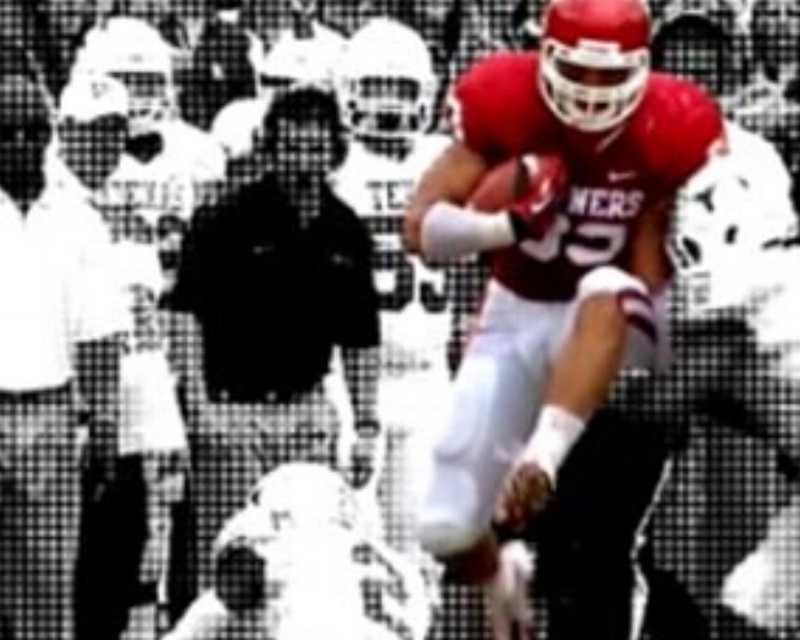 2012 marks the 13th year of VI Marketing and Branding writing and directing the pregame intro video for OU. Sept. 11, 2012 (OKLAHOMA CITY) – For the eighth straight season, the University of Oklahoma has placed the “There’s Only One Oklahoma” campaign front and center at the beginning of its home football games. The video, which premiered at Saturday’s home opener versus Florida A&M, features past and present players and coaches for the university’s football program and brings a theatrical edge to the stadium’s near 90,000 anticipated fans. According to the writer and director of the campaign, VI Marketing and Branding’s Creative Director Steve Sturges, the experience is one that can’t be duplicated. The tagline “There’s Only One Oklahoma”, developed by VI following the 2004 season, has become the official tagline for the University of Oklahoma in licensing agreements with clothing brand Nike, Inc. The campaign has been the recipient of awards spanning local to national including dozens of Addys. Since the national championship season of 2000, the role of VI Marketing and Branding has evolved from handling the project completely turn-key to working hand-in-hand, developing a great partnership with the University of Oklahoma’s SoonerVision, the athletic department’s in-house production studio.